A key piece of the former Midtown Plaza property, Parcel 5 is one of the most important development sites in the city. It's in the heart of downtown, and it fronts on Main Street, and whatever goes there could have a major impact on the city's center for generations. It's also at the center of a major controversy involving City Hall, developers, leaders of performing arts organizations, and public-space activists. City Council had been expected to vote relatively soon on a proposal for a new theater for the Rochester Broadway Theatre League and an apartment tower built by Morgan Communities. But the Morgan part of the project is very much in doubt. The FBI is investigating the Morgan company, and while the firm and its officers may not be found guilty of anything, the investigation may take several years. That could cause delays in Morgan developments that are still in the planning stage. And that includes the apartment building at Parcel 5. The Morgan company and its founder, Bob Morgan, have been respected developers in Rochester, and since the news about the FBI investigation broke last fall, city officials and business leaders have withheld judgment, pointing to the company's track record of successful developments. But it's likely that at some point soon, RBTL or the city will decide whether Morgan is staying in the project. If Morgan is out, one of several things could happen. The city could start over, asking for new proposals for the site. It could reassess the idea of RBTL doing its theater on its own. It could leave the parcel vacant for a while. Or RBTL could come in with another development partner, to take Morgan's place. What should Parcel 5 be? City officials have been trying to figure out what to do with the Midtown Plaza site literally for decades. The Plaza, which occupied 8.6 acres, was once a bustling retail center paired with an office tower. As suburban development and consumers' shopping habits changed, Midtown Plaza slowly emptied out. And city officials looked for new uses. Developers and investors came up with a variety of reuse ideas. At one point, city officials became enthusiastic about a proposal from the government of Parma, Italy, for a retail center selling Italian merchandise. That proposal evaporated. 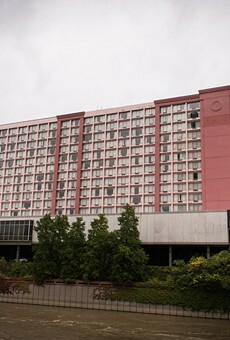 As it became obvious that nothing could save Midtown, in September 2010 the complex was demolished to make way for a 225,000-square-foot building housing the world headquarters of Paetec and was to bring 900 new employees downtown. But as if Midtown Plaza were jinxed, Paetec was bought by Windstream, which scaled back the plan substantially, moving 335 employees into the three-story former Seneca Building on the Midtown site. Despite the early setbacks, though, there's been a good bit of progress on the Midtown site since then. The former Midtown office building is now Tower280 apartments. The Democrat and Chronicle has moved its facilities into a new building adjacent to Windstream. That progress has spurred development in the surrounding area. And at the same time, Parcel 5 has begun to take on a life of its own. It's become a popular warm-weather venue for festivals and other events. 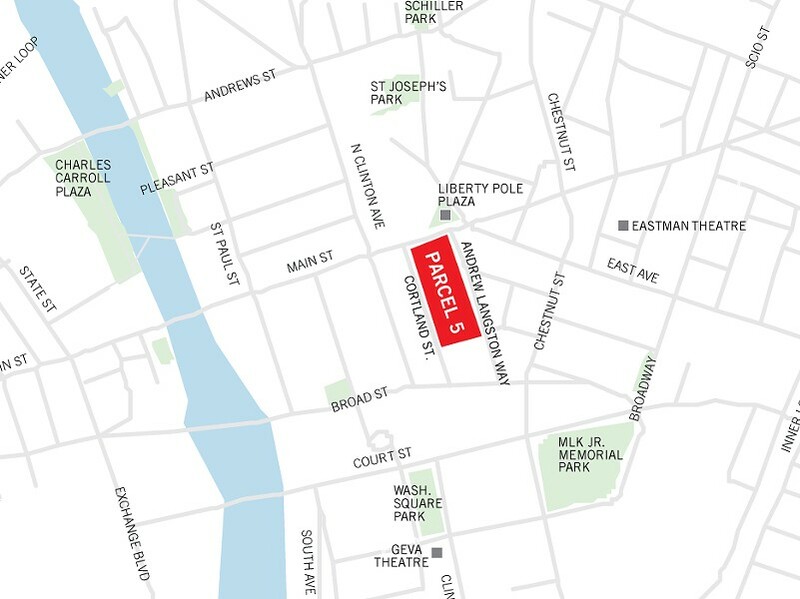 Meantime, the city has continued to look for a developer for Parcel 5. • Visionary Square, "a vibrant, multi-use, flexible marketplace, arts and recreational public green space with active programming throughout the year," according to the proposal. 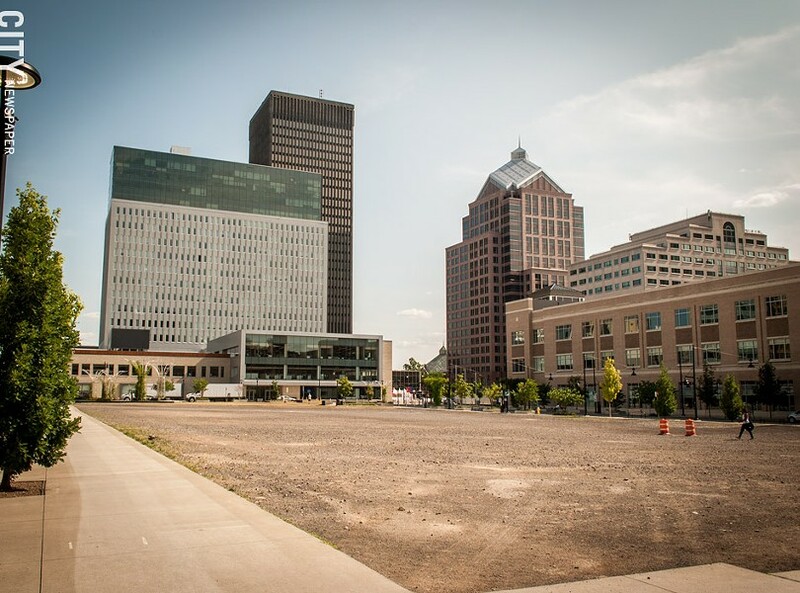 The project – proposed by a group led by activist Ken Sato – would be "funded, built, and operated by volunteers, comprising a non-profit organization, Rochester Visionary Square Corporation." Morgan's apartment building wasn't in the mix. Early in her first year of office, Mayor Lovely Warren had expressed interest in a new performing-arts theater somewhere downtown. She's convinced that it will not only create jobs (both during its construction and afterwards, for employees who would work in it). Currently 166,000 people attend RBTL's shows at the Auditorium Theatre each year, and another 20,000 use the hall for graduations and similar events. RBTL predicts that with a new, larger theater, that number will grow to 300,000. And that, RBTL says, will spur more businesses in the area. When the mayor and some of her staff – a team led by then-Deputy Mayor Carlos Carballada – assessed the three proposals, they initially settled on Gallina's residential-commercial project. RBTL's was "a close second," city spokesperson James Smith says, but Warren's team "thought Andy's was better." The Carballada team was apparently concerned about the economic feasibility of the RBTL theater as a stand-alone project. Carballada, in fact, had some history with RBTL's decades-long quest for a new theater. A respected former banker, he was the city's economic development commissioner when RBTL's theater, MCC's downtown campus, and the RTS bus station were to form the Renaissance Square complex. He also headed the city's neighborhood and business development efforts under former mayor Tom Richards, as RBTL continued to press for a downtown location. While RBTL insists that it has a history of operating surpluses, Richards was publicly skeptical about RBTL's estimates. Visionary Square was last on the team's list. 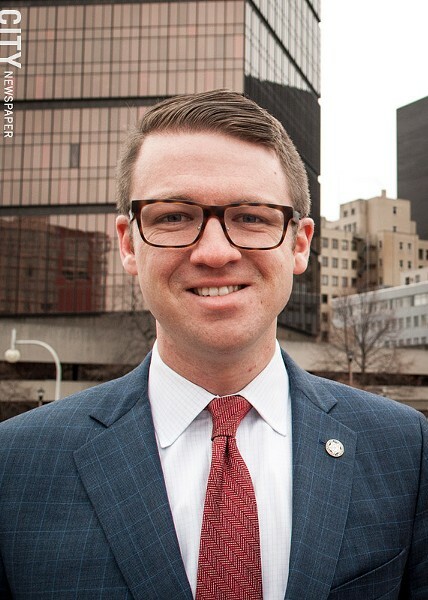 Like previous administrations, Warren and her staff have always viewed development on the Midtown site as a way to boost Rochester's tax base – either through a project that would pay taxes itself or one that would spur other taxable development. Downsizing by businesses like Kodak, along with the flight of retail, has had a major impact on Rochester, reducing the value of property in the city from $11.10 billion in 1987-88 to $6.45 billion in 2017-18. With both Visionary Square and the RBTL theater, Parcel 5 would remain tax-exempt. And Warren's team wasn't convinced that Visionary Square would spur significant development nearby. In addition, they have questioned whether downtown needs another park, which would cost money to maintain. Downtown, they note, already has several parks, including two large ones: Martin Luther King Jr., just north of the Strong museum, and Charles Carroll Park, on the west side of the river. Charles Carroll is seldom used and has been deteriorating, but the city plans major improvements to increase its use. Alex Yudelson, Mayor Lovely Warren’s chiefof staff. And, says Warren's chief of staff, Alex Yudelson, "the ability to program a site like Parcel 5 relies not only on the weather but on sustainable funding, and there were no indications that there was sufficient funding" in the months suitable for outdoor events. And so after reviewing the three proposals, the Warren administration told Gallina that he was their choice. The city's communications office wrote a press release, and Warren prepared to announce his selection. But Gallina, who had learned that state funding would be less than he had requested, asked for a few more weeks to rework his plan. City officials say that he had requested delays before, and that they became skittish about the project. And RBTL CEO Arnie Rothschild strengthened his bid: billionaire Tom Golisano pledged $25 million for the theater, and Morgan Communities was prepared to build an apartment tower at the rear of the project. That would let the two projects share some infrastructure costs, and Morgan – one of the biggest developers in the region – brought enormous credibility to the proposal. In the end, Warren announced that she had chosen RBTL-Morgan for Parcel 5. Warren's decision has been controversial from that moment on. Its numerous critics include people in the arts community, who worry that a shiny new theater hosting big-name Broadway shows and performers will hurt them, in ticket sales, in membership, and in donations. Like the city, the arts community took a hit with the dramatic downsizing of Kodak, Xerox, and Bausch and Lomb, all of whom had been major supporters. And like federal funding, state funding for arts organizations in Rochester has shrunk – by 44 percent from 2001 to 2016, according to research by ACT Rochester. Criticism has also come from people who liked the Visionary Square plan and think Parcel 5 should be kept as undeveloped or loosely developed, available for festivals, pop-up temporary retail, and other uses. Their case has been bolstered by the enormous crowds on Parcel 5 for Jazz and Fringe Festivals. And they also charge that the RBTL proposal caters to an "elite" audience; Parcel 5, they say, should be for everyone. 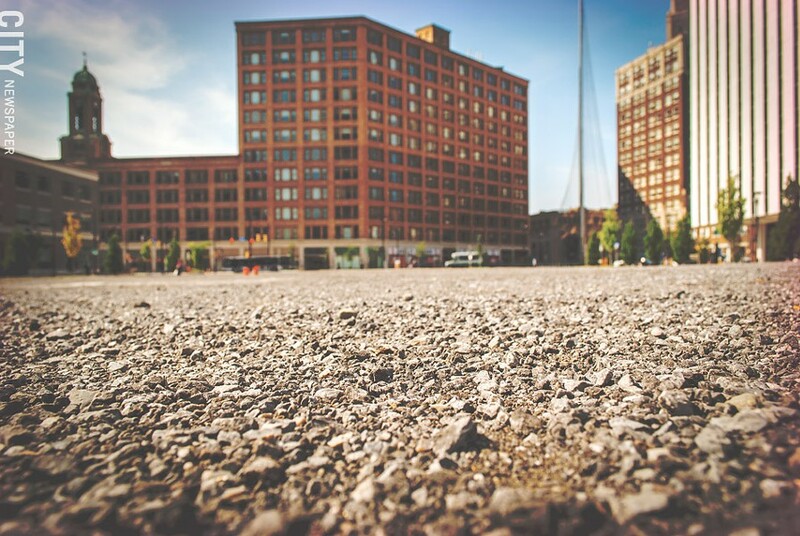 A third group of critics are people who worry that downtown may be experiencing more development – particularly residential development – than is sustainable. A total of 822 new units have been created downtown since 2010, and 22 new projects – containing 1,893 units – are planned. These critics include former City Council member Carolee Conklin who, shortly before retiring from Council last December, said that the city should hold off on development at Parcel 5 until some of the projects under way are completed and filled. Conklin was also worried RBTL's funding, and about adding development that would be tax-exempt. "The long-term viability of the city," she said, "depends on revenue," and that means taxable development. "Why not just let it sit there for a couple of years?" she said. "We really don't need a rush to judge ment." Leaving Parcel 5 alone would also let the city make sure that downtown's existing residential development is successful, that developers are not overbuilding. Population growth in the Rochester region has been relatively flat for years. If that doesn't change, new residential development is likely to simply rob residents from other neighborhoods. The new housing is boosting downtown's population, though, and what happens on Parcel 5 will affect those residents. Tower280 resident John Bernunzio, whose Bernunzio Uptown Music has anchored the corner of East Avenue and Swan Street for 14 years, has been a strong supporter of keeping Parcel 5 relatively undeveloped, handing out "Free Parcel 5" T-shirts and bumper stickers at his store. When Midtown Plaza was torn down, he says, city officials said downtown needed people out on the street. It needed outdoor activities, and the Plaza kept everybody inside. "Now," he says, "they’re proposing building something where people will be inside." "Rochester is about music, images and light, and water," Bernunzio says. "If something goes there, it should be designed to include sound, light, and water, because that’s who we are." Suzanne Mayer, former president of the Grove Place Neighborhood Association and one of the organizers of a new downtown coalition called C4, says Grove Place hasn't taken a position on Parcel 5 and residents' opinions seem divided. Her own opinion, she says, is that "whatever goes there should be more for common use. It should be something that everybody has access to. I wouldn’t like to see something in that location going dark for any serious length of time." But, she adds: "I really think that what needs to happen is to look at this as an opportunity to talk about it. We need to be able to talk to each other about this and what’s best for this community." While the mayor has been a strong supporter of the RBTL-Morgan project, what happens to Parcel 5 will ultimately be in the hands of the nine people on City Council. It's likely that Warren has support from the majority of those nine, but she could have trouble getting votes from at least three: Northwest District representative Molly Clifford, at-large member Jackie Ortiz, and East District representative Elaine Spaull, who is developer Andy Gallina's sister. Clifford, Ortiz, and Spaull have been at odds with Warren on some issues in the past, and Clifford ran the campaign for former mayor Tom Richards, whom Warren defeated in 2013. On the other hand, if RBTL found a new partner to take Morgan's place in the project, or if it refashioned its project to answer some of its critics' concerns, Warren could get the votes she needs. Several Councilmembers declined to comment on Parcel 5, citing the fact that a final, detailed proposal hasn't yet been presented to Council. And Council President Loretta Scott said she wants to wait for the report from the consultants studying the RBTL theater's impact before she discusses specifics about Parcel 5. But, she said: "I don't see it left blank. I do want to see it developed, and it needs to be. I don't support more greenspace, especially seeing that we have so many parks now."